Foreign Direct Investment (FDI) is an effective instrument for promoting sustainable development in Least Developed Countries (LDCs) like Nepal. Realizing this fact, the government of Nepal has organized three investment summits so far. First was in 1992 following the restoration of democracy. The investors attending the summit had pledged investment of approximately $100 million, but only around 25 percent of the pledged amount was realized. Likewise, the second summit was convened in 2017 following the promulgation of the new constitution. Twenty six firms from eight countries pledged their investments of up to US$ 13.74 billion in the form of letters of intent. But again only 25 percent of the sum was realized. 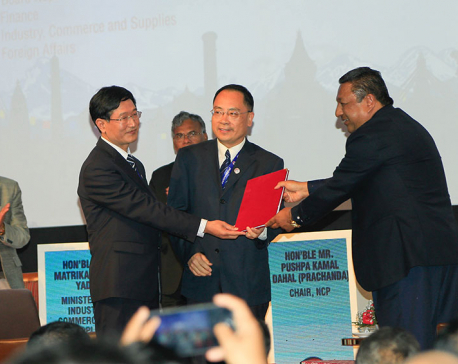 The third and the most recent summit (March 29-30) concluded with the signing of 15 memorandum of understandings (MoUs) with various investors. Though the government had showcased as many as 77 projects worth $31.93 billion (50 public and 27 private projects) at the summit to attract investment, it was able to draw applications for investment only in 17 projects. A total of 735 delegates from 40 countries representing 300 companies, in addition to 600 domestic participants from over 100 companies, took part in the summit. Some notable deals signed at the end of the summit include a joint venture agreement between CG Corp Global and SkyPower Global for developing a 600-Megawatt solar power in Nepal, an announcement of financial investment confirmation of $650 million for the 216-MW Upper Trishuli by a Korean company, agreement between the International Finance Corporation, IBN and the Special Economic Zone (SEZ) Authority of Nepal for the development of Shimra SEZ on a public-private partnership model and commitment made between SJVN Arun-III Power Development Company (SAPDC), the State Bank of India and three Nepali commercial banks for financing of 900-MW Arun-III. 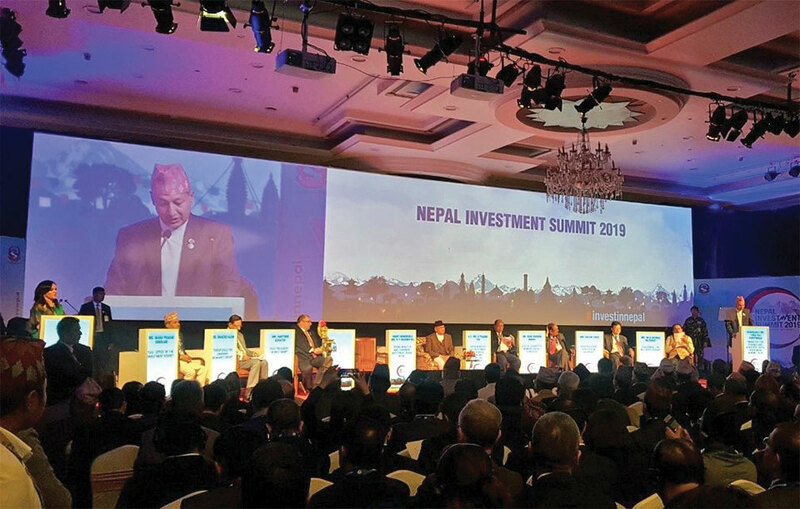 Investors at home and abroad attending the summit have sought full implementation of Nepal government’s commitment to put procedural reforms and policies for investment security. They would be keeping a close watch on the steps the government will take to remove administrative bottlenecks to that effect. There are many determinants challenging FDI. Major ones include corruption, weak infrastructure, unskilled workforce, weak legal and regulatory systems, small size domestic market, unavailability of raw materials, high transport and marketing costs, and inadequate investment incentives. Learning from the past weaknesses, the government made efforts to revise some 22 acts and policies related to industry and trade in a bid to attract foreign investment. The government has also brought some new bills such as Public-Private Partnership and Investment Bill and Foreign Investment and Technology Transfer Bill and amended Special Economic Zone Bill. Even then, the government will have to do many more to address post-summit concerns and translate those MoUs and investment commitments into reality. In this context the government is to set up a robust follow-up mechanism to take the signed deals into implementation. The availability, cost and smooth functioning of labor are very important yet sensitive elements to attract FDI. But the disruptive activities of labor unions are frequently creating difficulties for foreign investors in Nepal. This issue has degraded the business environment for investors. Over the last 10 years, many companies have been forced to shut down because of labor unions. Similarly, strikes are also common in the country’s hospitality sectors. The government should take necessary steps to minimize such activities. Attitude of our bureaucrats is not helping us bring more FDI. Many investors complain that corrupt bureaucracy has made investment difficult in Nepal. Our bureaucrats should become problem-solvers and facilitators. Investors repeatedly complain about the hassles they face when they have to deal with bureaucracy, which is quick to identify problems but does not offer solutions to outstanding issues. Improving efficiency of the bureaucracy to translate policies into action will be another challenge for Nepal. The effective implementation of policies, regulations and rules is important. Nepal is always weak in implementation. The Investment Board Nepal (IBN) has allowed investors to apply for any of the showcased projects by April 21. Then the government will choose the most suitable investors and proceed with realizing the investment. There are plenty of ambiguities related to layers of approval requirement, bureaucratic discretion, income repatriation, visa restriction, and negative list. Here is where the most important task lies. Investors will compare the government’s promises against the system in place before they put in money in Nepal. A true ‘one-window service system’ without any hassles is expected. In this regard, the government has recently taken some legal steps to empower IBN with the intention of concentrating decision-making powers related to foreign direct investment (FDI) and construction of mega structures. This may create coordination problems with other line ministries. In fact, Minister of Industry, Commerce and Supplies has already shown differences. This might result in lack of inter-ministry coordination. Despite political stability and strong government, development projects in Nepal are still not free from the political influence. When the projects commence, political leaders—from the local levels to the center—will seek to influence the project for their vested interest. This might remain the most pressing challenge in the days to come. Poor infrastructure, weak capacity of banking and financial sector, constraints in exports, difficulty in availability of critical inputs (power, transportation and industrial land among others) and internal security are also making FDI less competitive in Nepal. Already Nepal is 23 percent more expensive than China and 15 percent more expensive than India in doing business index. Most other constraints remain unchanged. 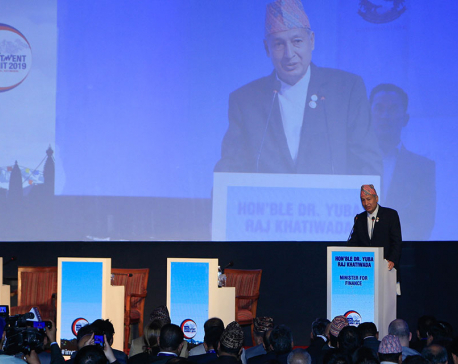 If this summit is to be different from the past two, Nepal should improve its ease-of-doing-business status. Also, the government should prioritize potential projects for investment, enhance capacity of implementing agencies, and develop mechanism for both horizontal and vertical coordination. Most important, local private sector, on its part, will have to devise strategies to harness the technical and managerial capabilities of foreign firms. The government should produce skilled workforce through training programs at home as per the demands of Nepali labor market. There is plenty of scope to engage our youths in modern agriculture, industry and construction. As was the case with previous two summits, investment summit this year has generated hope for larger FDI but whether we will be able to capitalize on this hope will largely rest on how effectively the government will be able to overcome the challenges facing Nepal’s investment climate.